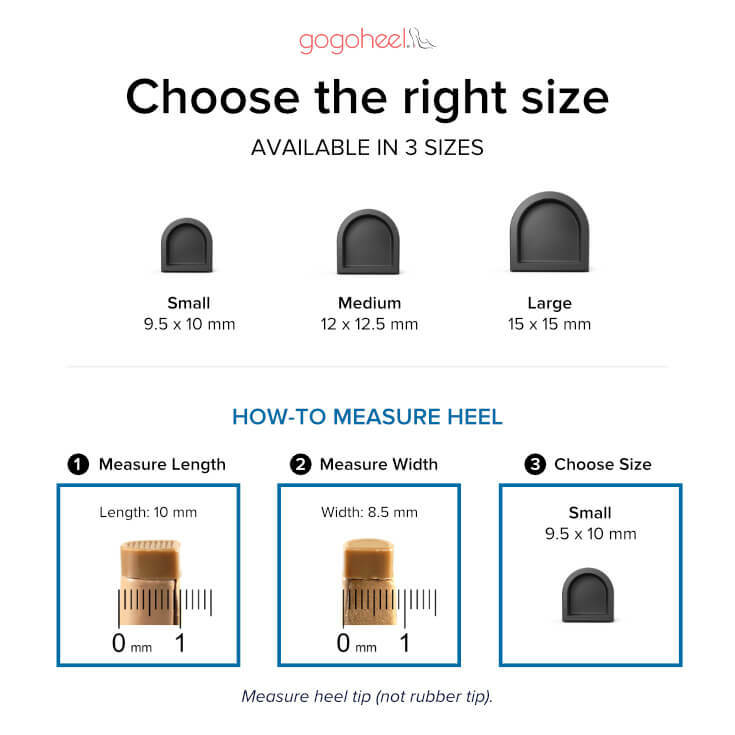 Print this guide to find the right size for you. Note: Sizing varies between QUICK TIPS® Cap & Wrap and Slip-On Cap products. 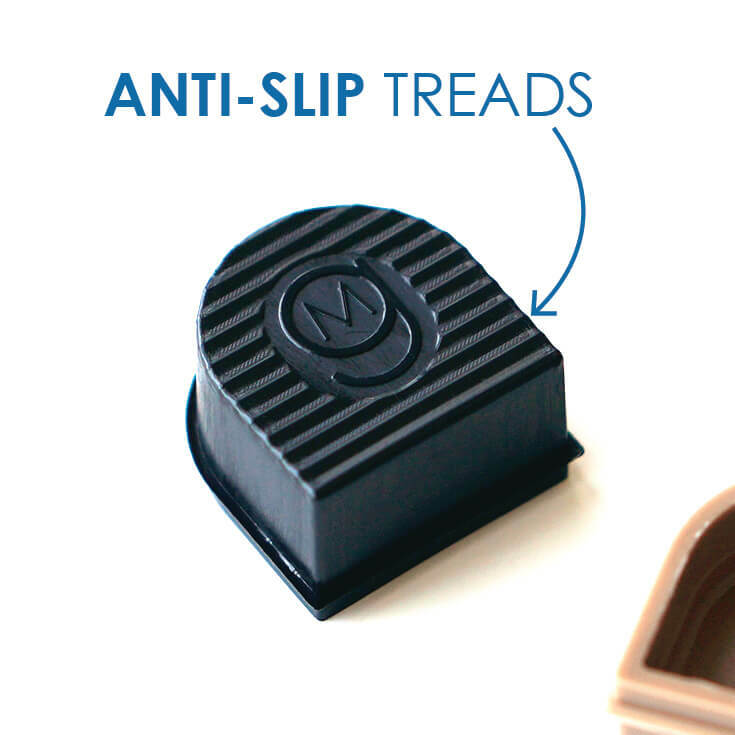 Anti-slip treads on the bottom of the cap provide extra traction to help prevent slipping. The base is also reinforced with layers of hard rubber, so the nail cannot easily break through it. 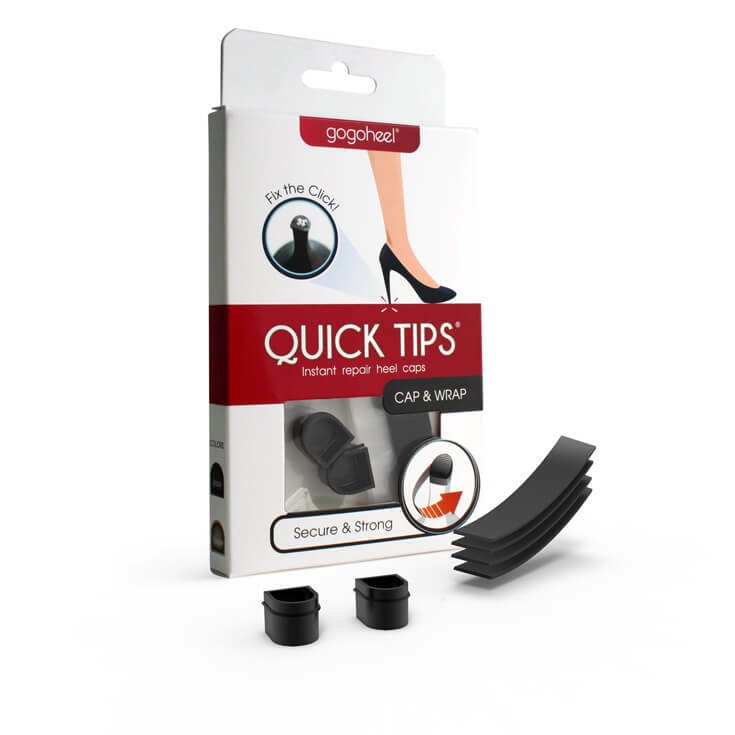 QUICK TIPS® Caps are durable rubber caps designed to attach over your worn heel tip with our self-fusing band. Band sticks to itself when stretched & wrapped together. Band is residue-free for a clean, safe repair. 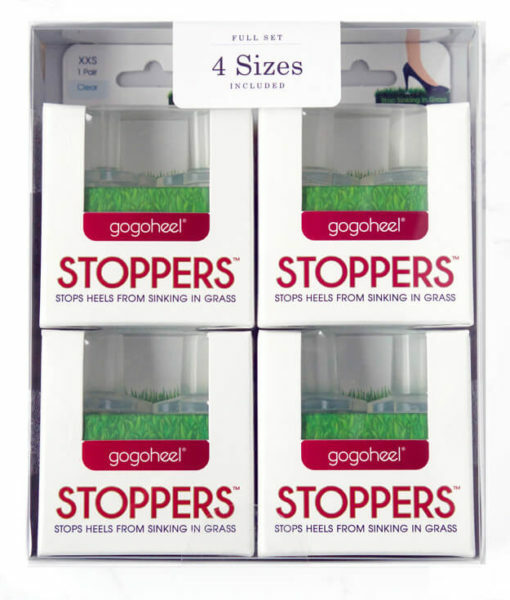 Before applying cap, wrap heel 1x. 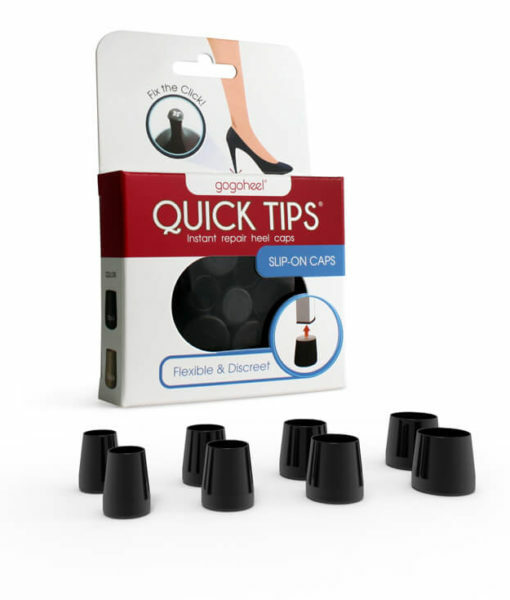 Push cap over heel tip. Finish wrapping 3x evenly around cap & heel. Preparation tips. 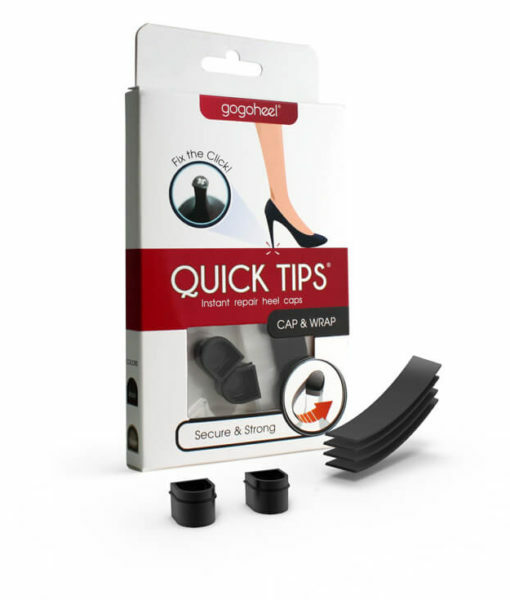 Before applying cap, STRETCH band tightly & wrap heel 1x. Band sticks to itself. Leave unused band dangling. 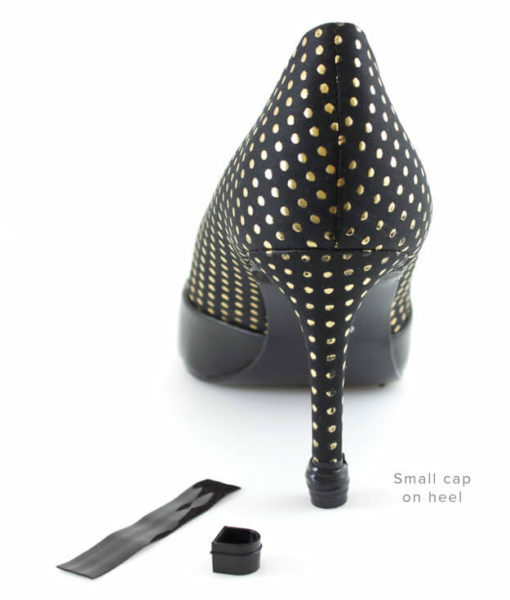 Push cap completely over heel tip. 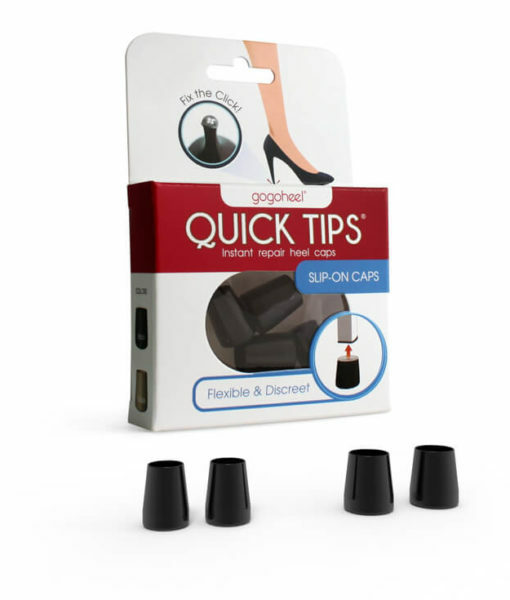 For tight caps, push cap down against a flat surface. Unused band should dangle out of the cap. Finish wrapping 3x evenly around cap & heel, covering the Gripper. Then, squeeze band layers for 10 seconds to avoid unraveling. With a scissor blade, carefully slice the band & peel off. Then, remove the cap. 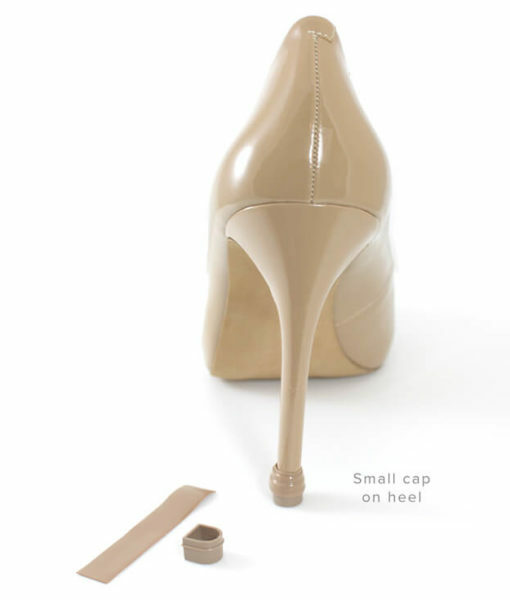 To avoid cutting the heel fabric, only slice the band where it overlaps the cap. 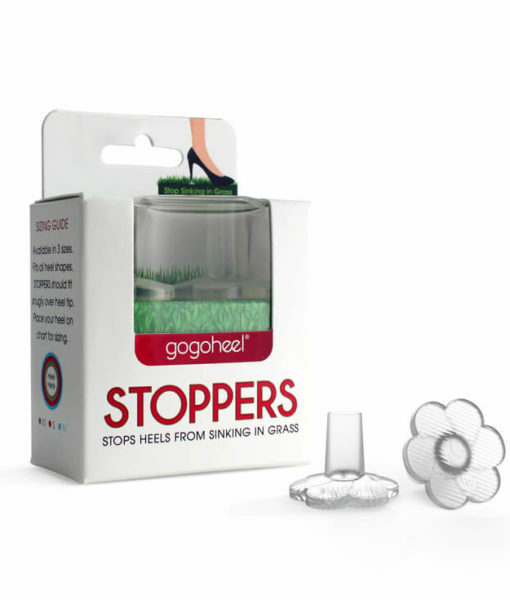 Don't need to remove your worn heel tip. Cap covers the nail. Clean hands. Lotions prevent band from fusing together. 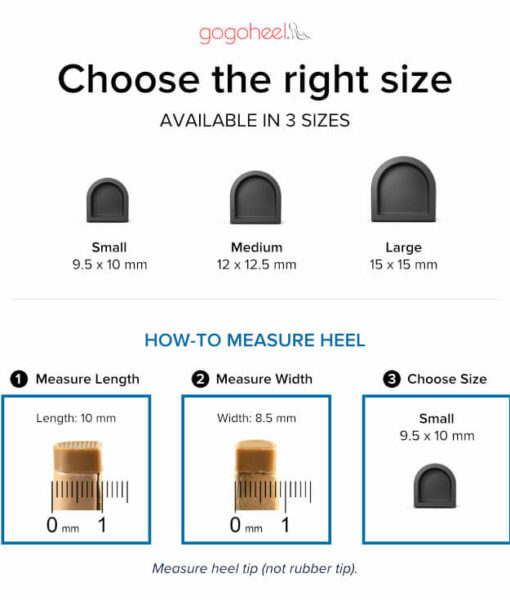 Choose Cap size. Cap should fit snugly. See Sizing Guide. 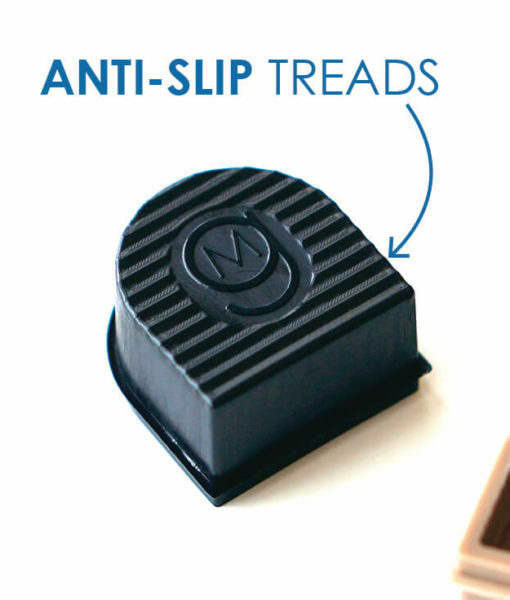 Don't skip Step 1. Wrapping the heel locks in the cap. Wrap tightly. Stretch band 3x its length for tightest wrap.